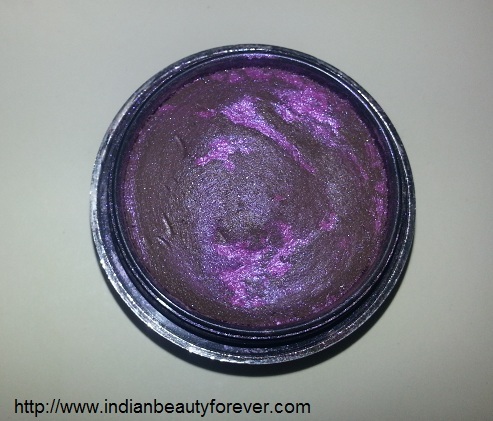 What Product claims:Magenta Moon is an eye shadow in brown with pink sparkles swirled into it. Too Faced Galaxy Glam with its futuristic opalescent pigments produces a multidimensional smoky eye look. Magenta Moon is a pink toned brown shade. 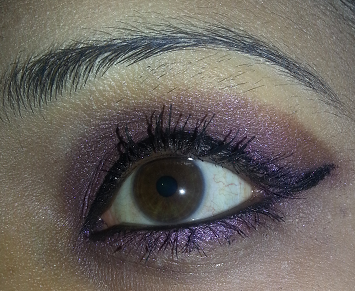 It is highly pigmented and a chocolate brown with hot pink swirls. It has a slight shimmer/shine in it. 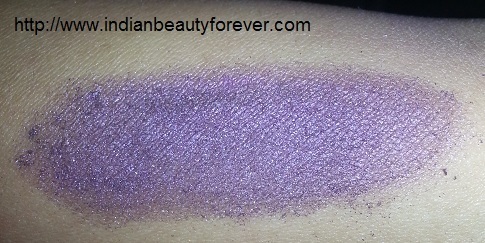 The texture is very soft,sultry silk and smooth .There is a little fallout while applying. 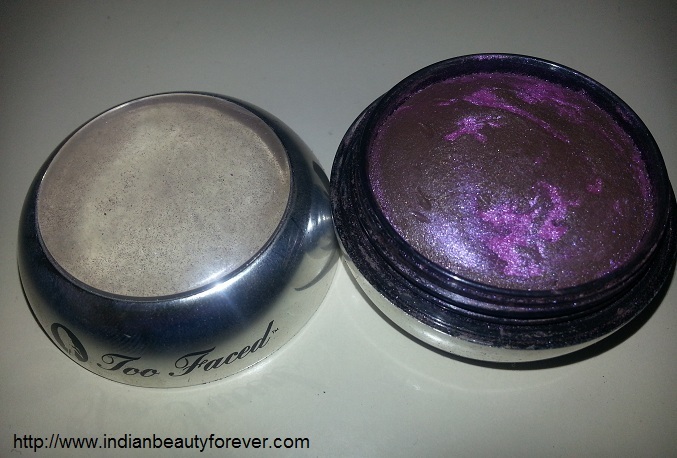 It comes in a very cute dome shaped compact of silver colour from outside with too faced brand name written on the pot and screw-on lid might be a little bulky but the generous amount of product lasts for a long time. It’s easily blend able and glide smoothly on the eye lids .It stays longer if applies premier underneath. The brown is very gorgeous and can apply over the entire eye lid and to make it more dramatic u can add pink colour in the crease or in the outer v. The colour is very flattering and would be best for all skin tones.It gives matte finish even it contains slight shimmer. Availability:8 shades available in this and available in Amazon. My experience: It is Dark brown with vibrant magenta. 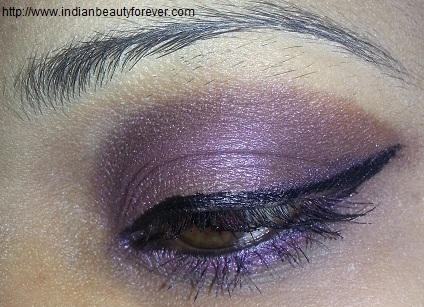 The brown applies as brown with gold and the magenta applies as magenta with a hint of purple/blue or can be swirl together for an amazing multi-dimensional, Smokey eye-look. These shadows are high quality, easy to work with, do not crease, blend well, and are long lasting. I would highly recommend it and quite wearable as well. Travel Friendly as size is small. Suits well on all skin tones. A bit expensive other than that no dislikes. I will recommend it highly.